Popular Hashtags on Instagram: Would you like your Instagram account to be viewed by 1,000s of people and get many new followers and likes? Did you know that there are simple ways to make your Instagram posts show up in front of the millions of people including those who do not follow your account on Instagram? There is a growing number of people that follow different hashtags on Instagram. The easy way to get ahead of them - is to add relevant hashtags to your posts and stories. Today, you can just paste the list of hashtags related to your content, and your Instagram posts will appear in the feeds of the people that follow the hashtags that you have selected. How To Find Popular Or Trending Instagram Tags Using Keyword Tool? Depending on your requirements, you can use Keyword Tool to generate a list of popular and trending Instagram hashtags. To use Keyword Tool for Instagram hashtags, just enter a word related to the topic of your post into the search box and press enter. In seconds, you will see a list of hashtags that you can use for your posts or stories. If you would like to find only popular or trending Instagram hashtags, you can use “Filter Results” drop-down of Keyword Tool to get the tool show you the hashtags that have a particular number of posts. By using filters, you can choose either the most of the least popular hashtags depending on your needs. You have probably noticed that when you start typing words into the Instagram search box, you see the search suggestions showing up below the search bar. 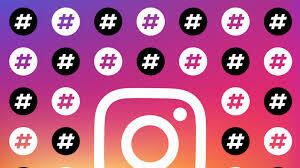 This feature of Instagram search is called autocomplete, and Keyword Tool uses the autocomplete of Instagram to generate Instagram hashtags suggestions. To generate the tags, Keyword Tool takes the keyword that you have provided, adds the # symbol before the word, places it into the Instagram search box, and pulls the suggestions together with a post count for every tag. How To Choose The Best Instagram Hashtags To Get More Likes And Followers? In most cases, Instagram hashtags are used to attract more views for the posts and stories and as a result - generate more likes, comments, and followers for the Instagram account. But this goal is hard to achieve just by using a random selection of hashtags with your posts. To get more likes and ultimately followers it is important to add only the most relevant hashtags to your posts. If your Instagram photos or videos appear on the relevant hashtag pages, they are more likely to receive better engagement - clicks, likes, and comments. And as a result, show up in the feeds of people that follow the selected tags to get even more attention. Instagram has a limit on the number of hashtags that can be used with every post. According to Instagram Help: "You can use up to 30 tags on a post. If you include more than 30 tags on a single photo/video, your comment won't post." That is why it is even more critical to select only the best and the most relevant hashtags for your posts.